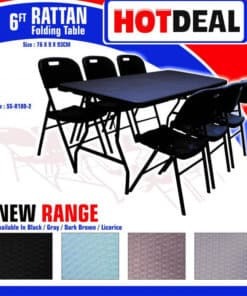 Tables and Folding Trestle Tables now sold at Decor Essentials, the leading in Premium Quality Tables manufactured With Superior grade material. Decor essentials are the Wholesaler of Tables, Chairs, Catering Equipment, Catering and Decor Products. We are located in Durban, South Africa, and Courier countrywide.